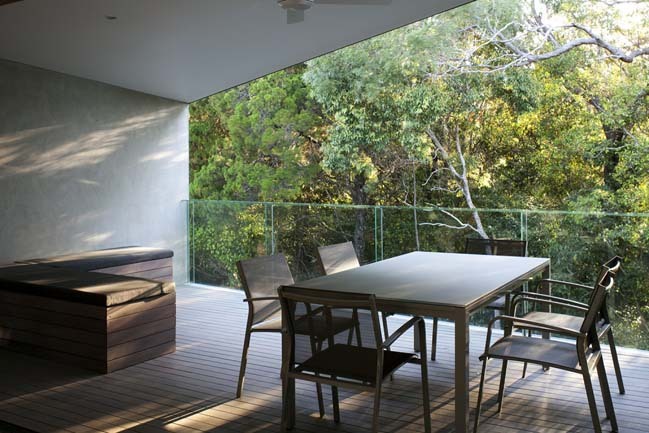 Located in Noosa Heads, Queensland, Australia. 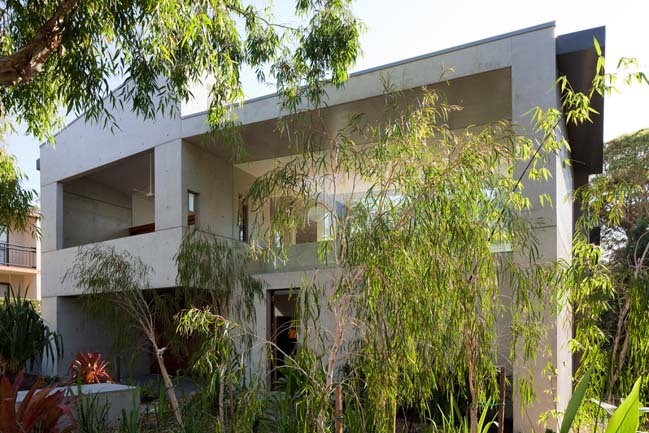 This beautiful contemporary villa was designed by Teeland Architects that connects intimately with the surrounding subtropical environment. 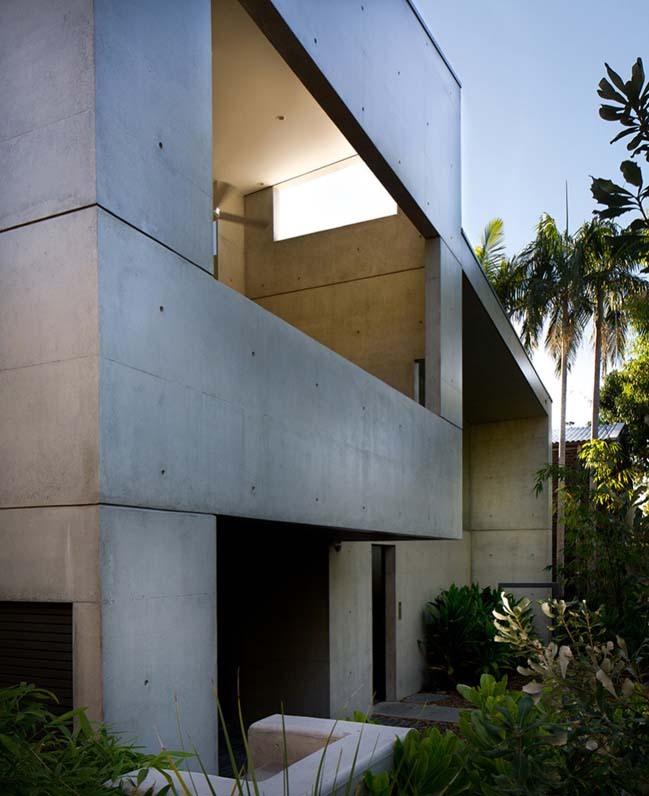 From the architects: Use of in stitu concrete to achieve a harmonious and balanced composition both internally & externally. A limited palette of materials has been employed to heighten the spatial experience of the villa and allow an uninhibited contemplation of the natural surroundings. 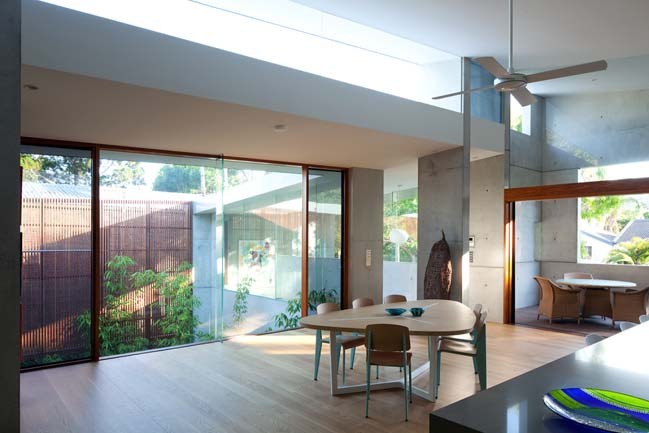 This combined with natural light and ventilation provides the occupants with a house for relaxation when they are not surfing or at the beach. The scheme is an expression of our desire to organise complex elements in a way that appears to be harmonious and balanced. The underlying idea was to develop an arrangement of many competing components and create something that gives the impression of being simple and ordered. 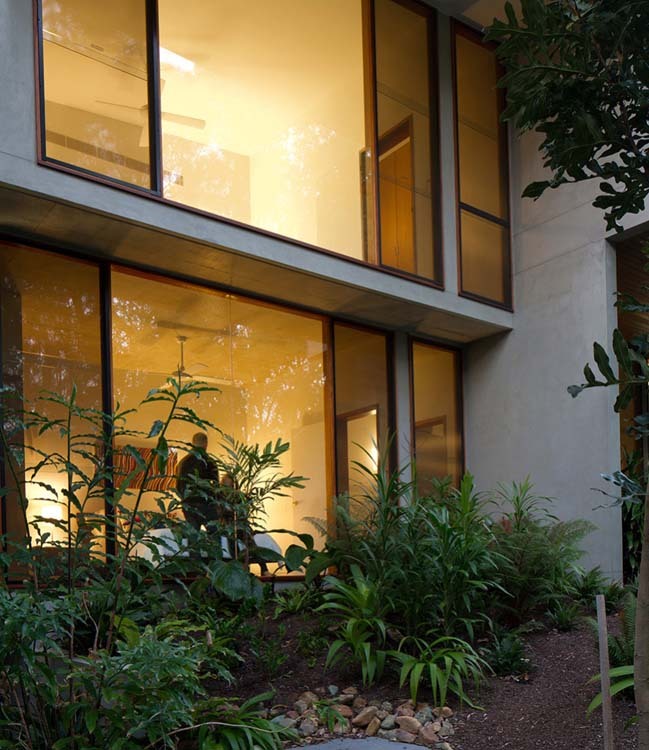 This philosophy was perused to create a feeling of calm in the building, heightening the resident’s experience of the surrounding environment and to enable the contemplation of nature. We wanted to make a positive contribution to the street life and engender a sense of community. 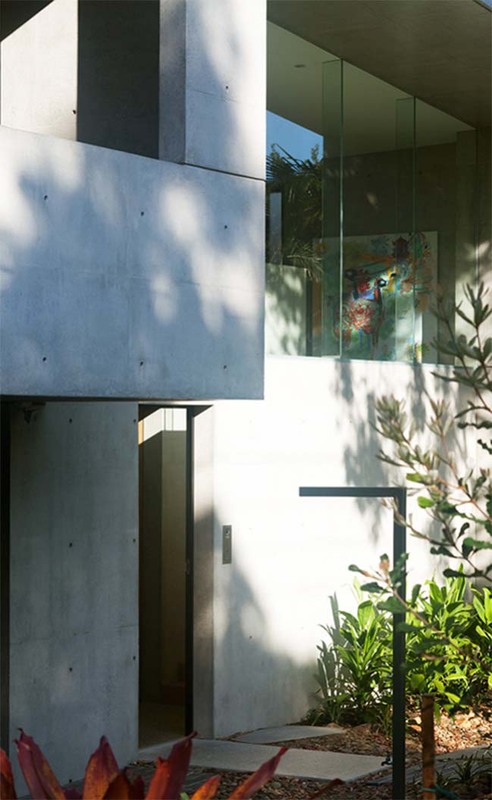 Large concrete portals were used to encase glass walls that framed views back into the upper levels of the building and beyond into the garden courtyards and National Park. 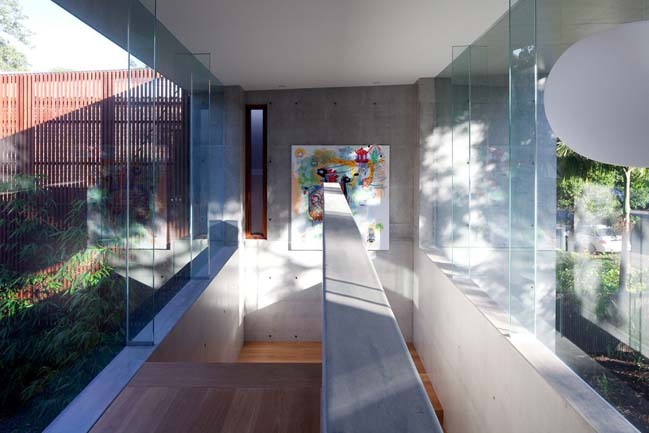 This allows pedestrians to observe the more public spaces of the villa like, the movement on the entry stair, but it also enables the owners to occupy the building edge to observe the theater of the surfers on the street. The program concept was to open up the house to the surrounding terrain without compromising the privacy of the villa or the neighboring buildings. 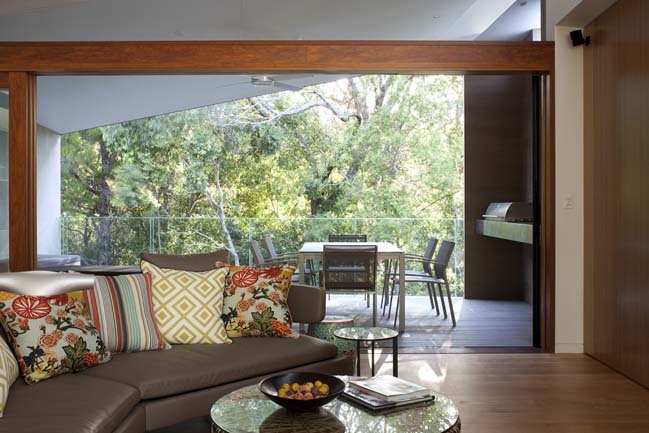 The plan configuration was also carefully considered so that there was a positive relationship between the public and private areas of the residence. 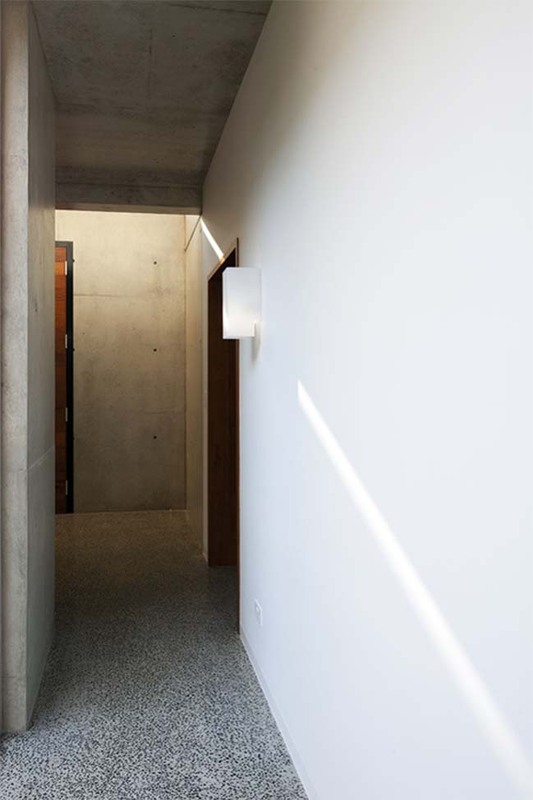 The dwelling has been crafted to maximize the winter sun entering the building while excluding the summer sun. 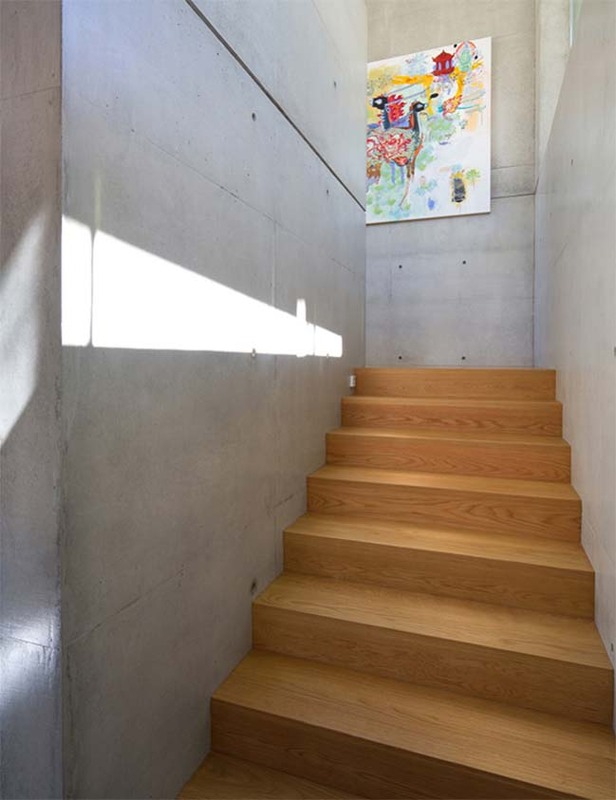 This combined with tactics to encourage natural cross ventilation allows the house to be cool in summer and warm in winter without the need for mechanical ventilation. 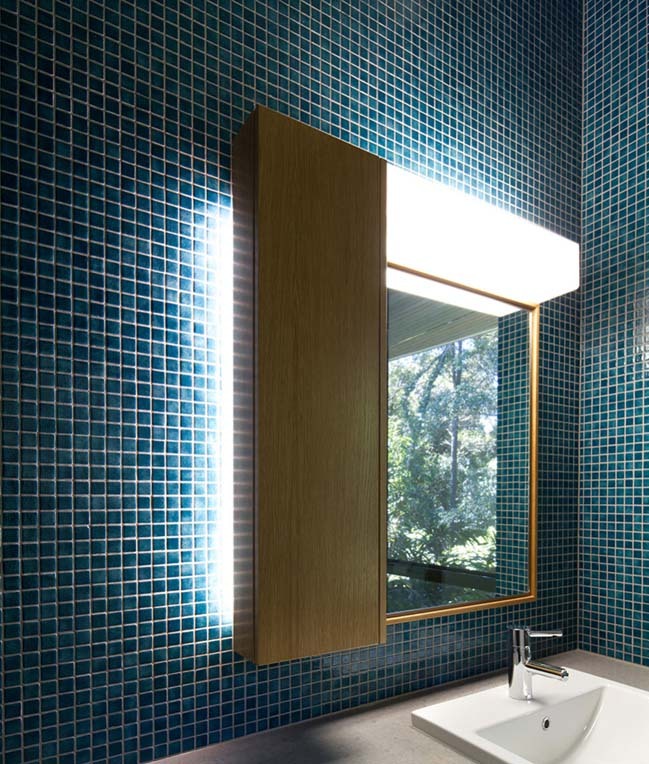 The villa is progressive in its environmental design. It has grid connected solar power, generating more electricity than the residents use. Underground rain water tanks for reuse in the villa. 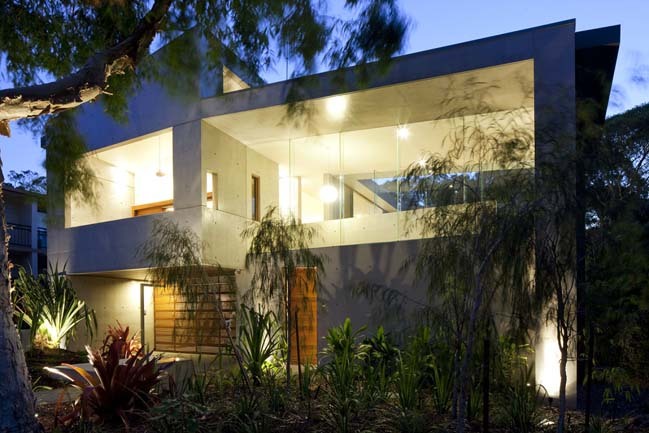 Passive solar design, to reduce the demand on mechanical cooling and heating. LED lighting. New subtropical landscape with edible species to 60 percent of the property increasing biodiversity and wildlife habitat. The heavy weight construction provides thermal mass for exclusion of heat gain in summer and retention of warmth in winter. The permanent nature of construction will require very little on-going energy consumption over the life cycle of the building.